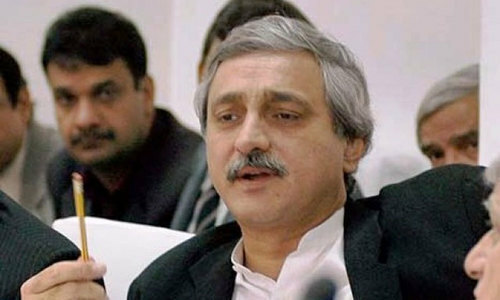 Disqualified former Pakistan Tehreek-i-Insaf (PTI) parliamentarian Jahangir Khan Tareen on Tuesday gave a detailed briefing on agriculture to a federal cabinet meeting chaired by Prime Minister Imran Khan, prompting criticism from the PML-N. Addressing a press conference following the cabinet meeting, Information Minister Fawad Chaudhry revealed that Tareen had briefed the meeting on agricultural matters. 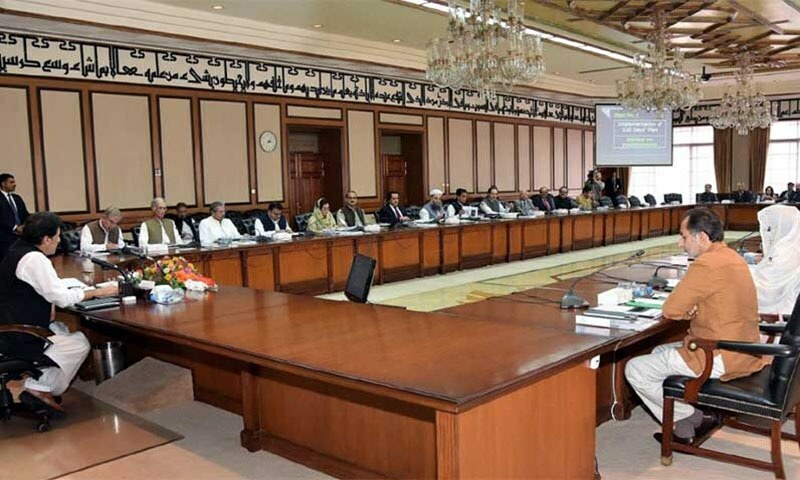 It was decided during the meeting that the government will spend Rs290 billion on agriculture, with 18 major schemes to be launched in the next five years, Radio Pakistan reported. PML-N spokesperson Marriyum Aurangzeb was quick to react to the news of Tareen's briefing. Tareen was disqualified by the Supreme Court in December 2017 for mis-declaration under Article 62(1)(f) of the Constitution — the same provision under which former prime minister Nawaz Sharif was held ineligible for life to hold any public office over the Panama Papers leaks case. 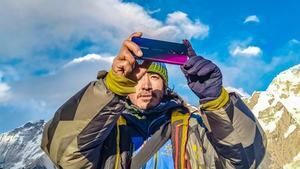 While he has previously chaired a meeting of top government officials at the Prime Minister's Secretariat in September, this was the first time that he briefed a federal cabinet meeting. 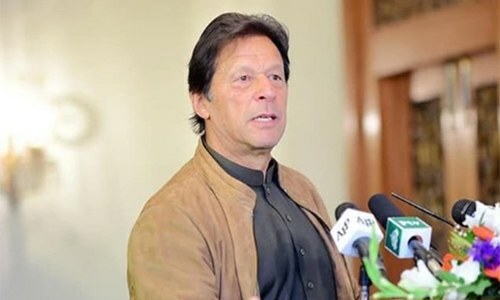 Aurangzeb in a statement claimed that although Prime Minister Imran Khan had stated that he would expel Tareen from the party [PTI] after the SC order, he had now "taken a U-turn and made him sit in the cabinet". She alleged that the premier "is in love with ATMs run through money laundering". "Isn't it contempt of court that a person sentenced by the court was sitting in a cabinet meeting?" the PML-N spokesperson questioned, demanding of the prime minister to explain "in what capacity" Tareen was allowed to participate in a constitutional forum after his disqualification. Chaudhry in his media briefing said that over the past eight years, Pakistan's spending on agriculture had gone down by over 60 per cent while its agricultural imports had gone up to $4 billion, which included $2 billion worth of edible oil bills alone, Radio Pakistan reported. He said there was a need to start an awareness campaign among the masses to use cooking oil as less as possible. The government is taking steps for the creation of oilseeds, he added. According to Chaudhry, the cabinet meeting decided that special attention will be paid to the agriculture sector over the next five years. The government also wants to work in the livestock and fisheries sectors, Chaudhry said, adding that the economy would see stability with steps being taken in the livestock sector. He said the two sectors would be given special attention as per the directives of Prime Minister Khan as they had "huge export potential". He said the new agricultural schemes would focus on increasing the production per capita, prudent water usage as well as increased access to farming credit. Additionally, the information minister said a total of 3.2 million gas consumers in the country had been affected by increased gas bills, which he said have been a problem since 2016-17. He announced that Rs2.5 billion in inflated gas bills would be returned to consumers. Chaudhry said following an investigation into the increased gas bills, "bewildering" details will be presented before the public and some prominent names would emerge. "By giving gas connections to big companies, the average consumers were affected," he said. Maryum Aurangzeb represents a failed and corrupt politicians; master at misleading the public. As long as IK is presiding the meeting I see no issue. When this cabinet meeting room will become a lecture hall of the university and the PM and his cabinet will do the business in a small room without air conditioning and fresh flowers sitting side by side on plastic chairs. When in the eyes of PM, one disqualified and disgraced will be equal to another disqualified and disgraced person. What does Jahangir Tareen have to say or do with the PTI government? He is in open violation of the Supreme Court order disqualifying him from any such office or role. I would strongly urge the apex court to take immediate notice and put Tareen behind bars for a short term for contempt. He came in the capacity of an expert in the field of agriculture and that has nothing to do with politics! PML-N raised very good point. Now she can read the well explained answer herein and may appreciate as well. NS was not even allowed to chair party meetings!! And raising awareness to use less cooking oil is all he can propose? So what's the big deal, we saw a thief leading a political party meeting and cabinet has rights to get the briefing from anyone. I do not see any change. The PTI government is making the same mistakes as the previous government were doing. For once, I agree with PML-N. PTI needs to implement the law in letter and spirit. Otherwise, there is no difference between them and the others who consider themselves above the law. Why don't PML-N guys just go back to their holes for next 5 years and let the Govt do its work? If Tareen can help out with his Agricultural background and expertise then why NOT? Pakistan has huge argicultural land and if farmers are properly educated to use modern method then I'm sure we can get a lot more out of our fertile land! Rules should be equal for all. Jehangir Tareen is disqualified for corruption. Imran Khan must not invite him in official meetings. Imran made a statement here that he's in charge. Time for Pakistan’s politicians to work collectively for the betterment of the country and just not to bring personal or parties differences. The Prime Minister and his cabinet can get advice from any one, just as US President can get advice from any one in the world. Tareen cannot hold an office, but he can give advice any time when asked. He was disqualified rightly from holding public office, but he was not convicted and jailed unlike NS. There might not be anything in law or constitution stopping him from giving his expert advice or opinion to anyone. Jahangir Tareen is one of the top agriculturists of Pakistan who has a very deep understanding and interest of the advanced systems being used in agriculture. Pakistan can benefit from it. Ignorant dweebs at PML-N and Aurengzehb has apparently, never heard of a Consultant, outside SME, Advisor or Coach? He does not have to be part of a cabinet to attend a meeting or conference. He can appear as a private citizen to lend his expertise on the subject as an independent Consultant and hired advisor. It happens all the time, all over the world, in government or private sector in many spheres. Is that so difficult for these semil-literates to understand?? One fails to understand the why PTI is so fond of making non issues to become a sizzling issue, thus providing opposition required live ammunition to take the govt. to task? Now, the govt. has to explain rationale as to why it was so compelling to allow a disqualified politician, and that too a generalist, to be briefing the cabinet on a highly technical agriculture future investment master plan, conveniently sidelining minister agriculture and his team of bearucrates? Let us see what kind of rabbit, Mr. Fawad pulls out of the hat, justifying Mr. Tarin’s briefing to the cabinet, on an important matter such as enhancing agricultural productivity to be compatible to future demand created by ever increasing population of the country. Although this is not right but N league did the same when NS was disqualified. Not only he chaired the meeting but was also given VIP protocol when coming to and from court and he also lived in punjab house. JKT is a technocrat. He can render his technical services to the govt as long as long he doesn't charge for it. And mind you JKT already has resigned from all the positions within PTI whereas on the other hand mian nawaz is still holding on to position of so called "supreme leader" of pmln after getting disqualified. Unfortunately by hook or crook the vice ended up leading the nation. Doesn't surprise me. Warning signs were ignored, it's time to reap what our nation's handlers sowed. Good thoughts! Going back to basics and investing in agriculture can bring much needed foreign investment. The government should also think of levying a tax on agriculture. Mr Jahangir Tareen is correct, Chinese will eat all the livestock, all fisheries and won't even spare the donkeys of Pakistan. Tareen is a subject matter expert in agriculture. There is no harm in not taking advise from him. Noon league can scream all they want. In the same capacity as Mariam Nawaz was leading the affairs. IK will lose his credibility...time has come for him to say goodbye to AU, CF and JT! He will lose the match with present mediocre team members! He was there as an advisor. It is the prerogative of the PM to invite anyone. Jehangir thareen can give expert information on this important subject, pmln,,needs to worry about how to make run to London for the looter Pakistan ! It is unfortunate that Mr. Tareen one of the highest taxpayers of Pakistan was declared disqualified whereas scores of politicians and industrialists who evade taxes roam around the corridors of our parliament. Mr. Tareen is a successful agriculturalist and educated business who is capable of making a positive contribution to public policy. PTI govenment should continue to take benefit of his expertise for the good of country. What a joke?. Tareen can work without position and pay to serve his country on important matters of progress and economy. Will NS do that? never. Besides NS has been jailed for corruption and Tareen is not. Mr.Tareen specialises in agriculture his views are important in cabinet meetings or elsewhere,Pmln offered us nothing except misery . Why is Jahangir Khan Tareen adviser to the Prime Minister of Pakistan, when he has been disqualified by the Supreme Court? PTI should refrain itself from getting negative attention by taking such steps. Disqualification does not means that his experience and expertise cannot be shared. He is a well known businessman and briefing cabinet is not an offence.